Small enough to offer personal attention, yet experienced enough to handle the most complicated problems. Large enough to devise a customized solution to meet the most demanding application. At Dodenhoff, you can count on top quality in everything we deliver to you – from standard fabrics in quantity to a limited run of special, custom designs for a particular industrial application – we are a supplier that performs for you, no matter what your need. 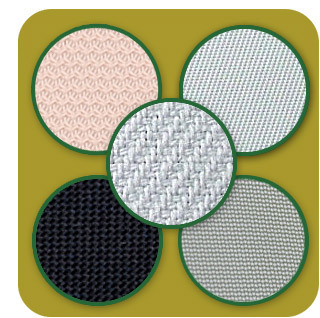 Make Dodenhoff your number one source for all your fabric needs! We answer our phones, offer timely competitive price quotes and analyze your samples in our testing lab. Since 1978, we have been proudly meeting your requirements for Filtration, Medical Coating Substrates, Rubber Reinforcements and other industrial fabric uses. Call us to find out what we can do for you today.